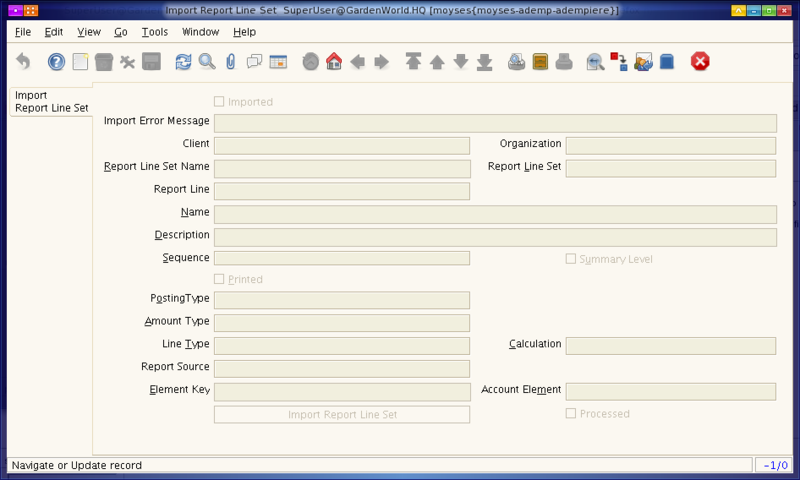 Help : The Import Report Line Set Window is an interim table which is used when importing external data into the system. Selecting the 'Process' button will either add or modify the appropriate records. This page was last modified on 14 December 2006, at 13:43.